Prepare yourself to be full immersed in Grecian culture, setting , history and politics during the Regency period. 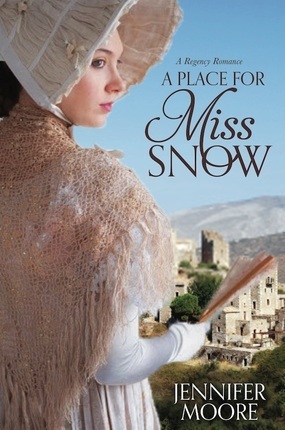 A deviation from the English society, A Place For Miss Snow follows an English orphan serving as a companion to an officer’s daughter. Kidnapped and knife point and carried away by scoundrels, Miss Snow is implicated during simple act of returning a man’s gloves. There is slow romance between this man, Alex, and Miss Snow which takes a second seat to the history. As a reader, so much in this book was entirely new, it might have been helpful to have an introduction or author’s note explaining the background or a glossary of names and Greek terms. 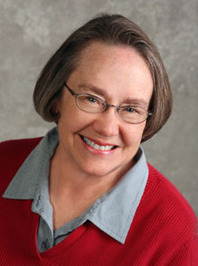 Ms. Moore always does significant research behind her novels, tis one could easily be used in the High School classroom as there is little violence and no questionable content. Thank you for the diversion for a day to a place much warmer and more colorful. But Amber's social standing is shattered by a rare disorder which causes the loss of her hair. Publicly humiliated and estranged from her shamed family, she is exiled to Yorkshire, facing a future she never expected in a circumstance far below what she has known all her life. Humbled and lonely, Amber wonders if isolation is for the best and questions what real love means until she finds a romantic path to a man who offers unconditional love. 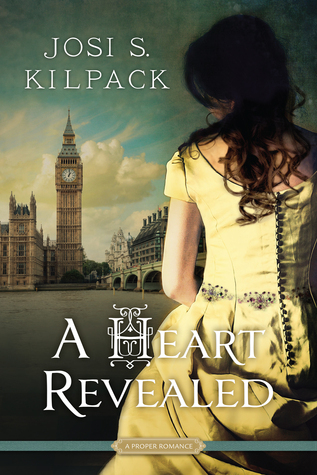 Author Josi S. Kilpack, who is best known for her culinary cozy mysteries, tackles the difficult condition of alopecia in her latest, novel A Heart Revealed. 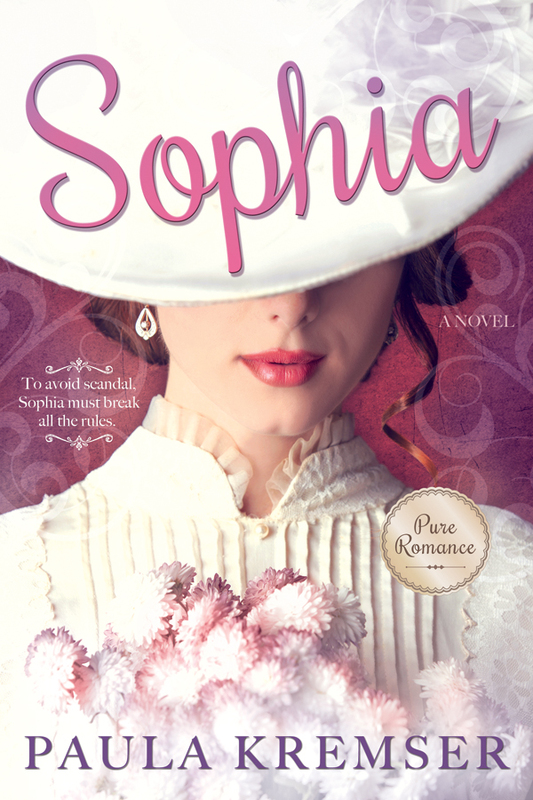 Set in Regency Era London, this clean romance explores how a rich debutante, who was once queen of the ball, falls from social graces in battling a life altering condition. 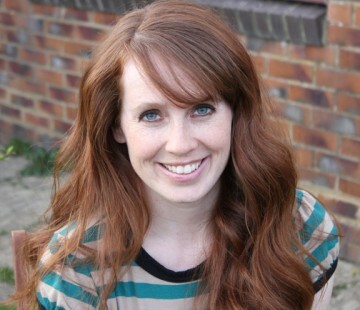 Miss Sterlington turns heads with her fiery red hair, sparkling eyes and strong personality. She enjoys her season, coming out among the ton with many suitors falling on her every word. But when life hands her a cruel twist of fate, she is exiled to a small cottage, and a simple life she never imagined in her wildest dreams. Suzanne, her lady in waiting, has the task of following Amber Sterlington, and helping to re-shape her bratty attitude. Successful in her service and her attempts to reform her boss, Suzanne is a strong and likeable character. Sterlington’s parents on the other hand, need to go. Readers will see a full character arc in he main heroine, as well a tiny bit of romance. Thomas Richards, gentlemen, is sick of the extravagant balls, the small hearted women he meets and the frivolity. But Miss Sterlington captures his attention. When circumstances throw them back together, he sees a change in her heart and can’t help but be even more drawn to the woman behind the mysterious disguise. I truly enjoyed the message and the ending of A Heart Revealed. My favorite character was Thomas and I wish we could have seen more into his thoughts and actions. The kiss seemed a bit wild considering how slowly and carefully this relationship unfolded in the dark, but in the last chapters, it all comes together. 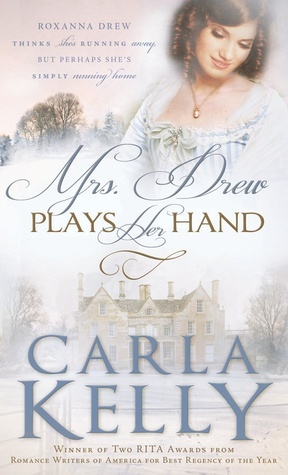 I highly recommend this and the entire Proper Romance series for fans of clean Regency novels! Book Summary from Goodreads: After her husband’s death, Roxanna Drew is faced with the daunting task of providing for her two small girls on her own. Pursued by her lecherous brother-in-law, Roxanna knows her only hope is to escape his grasp by moving into a derelict cottage, owned by Lord Winn—a man known to his tenants only by his checkered reputation. But when fate brings Lord Winn to her door in the middle of a snowstorm, Roxanna’s not sure which to fear more: letting him into her home or into her heart. A strong-willed heroine, perfectly paced plot, and plenty of humorous moments make this one of bestselling author Carla Kelly’s most beloved Regency romances. Discover the magic of a love story you’ll want to read again and again. Cathy’s Review: It’s been 6 months since Roxanna Drew’s beloved husband Anthony died. Her life with her two daughters Helen and Felicity has gone on much as it went while he was sick in bed, but things are changing quickly. Roxanna’s brother-in-law, Lord Whitcomb has already requested that she and her girls move in with him…and well he intends for her to be his mistress. She knows that that will not be an option for her, but she must come up with a new situation for herself and quickly! One day, as she’s walking across Moreland, a neighboring estate, she comes upon a small cottage. It’s in disrepair, it needs a new roof, floors, wall coverings, pretty much everything, but Roxanna knows that it would be a perfect place for her and her two girls. She asks the bailiff of the estate if she could rent it, and without having to spell the situation out for him, he understands why she needs a new place, and he quickly becomes her champion. Now all that’s left is for her to meet her landlord, Lord Winn, Roxie really knows nothing about him, just the usual neighborhood gossip, that she’s never listened to. So when he shows up on her doorstep in the middle of the night, she takes him in. It’s amazing how quickly he works his way into her heart and also the hearts of Helen and Felicity, but will she be able to move on from the loss of her beloved husband? I really enjoyed this book! 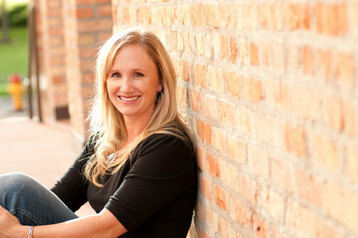 Carla Kelly is one of my very favorite romance writers. Her books are clean and full of sweet romance. This book was no exception. I enjoyed the character of Roxie Drew, I felt as though I “know” her and that she would be someone that I could count as a friend. I loved what a strong character she is in this book, she’s willing to do pretty much whatever she has to do to protect her two young daughters. I think that’s an admirable trait. The plot moved right along, making it hard for me to want to put this book down, I finished it quite quickly!